Like Chinese food? 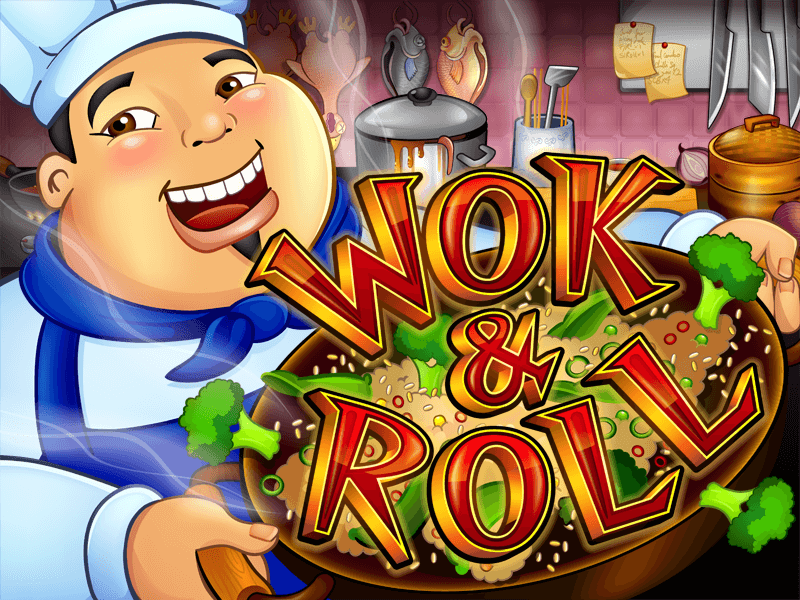 Then you'll love the game of Wok and Roll, the cute, quirky and fun video slot from Realtime Gaming and Yebo Casino. This 25-payline game features a number of dishes you'll recognise including the spring rolls, the bok choy, the soup and other symbols such as the Chinese chef and the Asian girl. The symbols all work together to create a world in which any Chinese food you can think of makes an appearance and we have to warn you, don't play this game when you're hungry, because it will make your mouth water. The symbol to keep an active eye out for is the Chinese chef who is the key to getting the top fixed jackpot. With 5 000 coins on offer, he is also the wild and should you find him, he'll work as a substitute for other symbols so that you can complete a winning combo. There are other symbols that will help you claim lots of money too, including the Chinese girl who has 2 500 coins on offer, the restaurant itself which will give you 1 250 coins should you find it five times and the noodles, which will yield a decent 1 000 coins. The game's logo serves as the scatter and should find it two or more times, you'll be able to get a multiplier of up to 200 times. That's very impressive considering the fixed payouts are on the low side. The game has a few special features you will want to try out too and should you find the scatters, not only can you up your multiplier, but you could win free spins too. Additionally, the chef will also help you get free spins and he'll even throw in an extra wild to help you cook up a bigger winning combo. All of the game's symbols pay from left to right except for the scatter, which will pay in both directions. There's a maximum win of 50 000 times your bet per payline and if you take the time to look at the game's payout schedule, you'll notice that there are more than a few dishes that could result in generous payouts for you. The game also features two progressives that you can win at random, and though they are not very high right now, their totals are climbing daily. The minor jackpot has hit the R8 000 mark while the major is just over R10 000, so there is very little difference between the two. Winning them is something anyone can do without having to worry about which symbols appear where, as these are totally randomly triggered. If you want to play the game but simply don't have the time to spare, remember that it has an autoplay feature that you can set up to take over the spins on your behalf. If you do play it though, you are sure to enjoy the smart theme, the decent wins and the many multipliers and free spins you could get just for playing.